Amaze and Delight Curious Young Minds! For more information, call 704-651-8989. Introducing science, technology, and engineering concepts to children is as powerful as teaching them to read and write – it gives children the foundation for thinking and processing information, and drawing conclusions about the world around them. STEM education provides children with a unique set of skills that will benefit them their entire lives! Classes for groups of children ages 3-5, held at your school. Each session features a different, age-appropriate experiment that is guaranteed to WOW preschoolers, and develop their fascination for the exciting world of science. Our exciting yet educational science programs are for groups of children ages 3-12. These fun sessions allow children to immerse themselves in thought-provoking, hand-on projects. From slime to rockets, we've got it all covered in an hour field trip that fits into your schedule. Your budding scientist will love hands-on experiments and spectacular interactive demonstrations! Every week, your child will dive into the amazing wonders of science with a new topic and experiment while having fun! Loads of fun!! When the lights go down, this science party is the coolest around!! Visit our birthday party page to learn more about this unique experience for children ages 5 to 12. 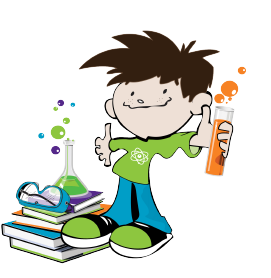 Check here for our schedule of upcoming classes for budding scientists! We also do super fun workshops for homeschoolers, Girl and Boy Scouts, and playgroups. We offer customizable, on-demand teachers' workshops that demonstrate how easy it is to make science simple and fun in the classroom. If you would like to know more, please contact us to discuss your needs, and how we can design a teacher workshop for you. and a member of the annual NC Science Festival! Have a Science Need that is Different From What is Listed Here? At Atomz Lab, we are extremely flexible! If you have a science need that isn't listed above, please contact us to discuss how we can design a science workshop or program especially for you! We are located off Rte 521 only 8 minutes from the Ballantyne area. Atomz Lab is a 2014 Best of the Best (BOB) Award Winner!